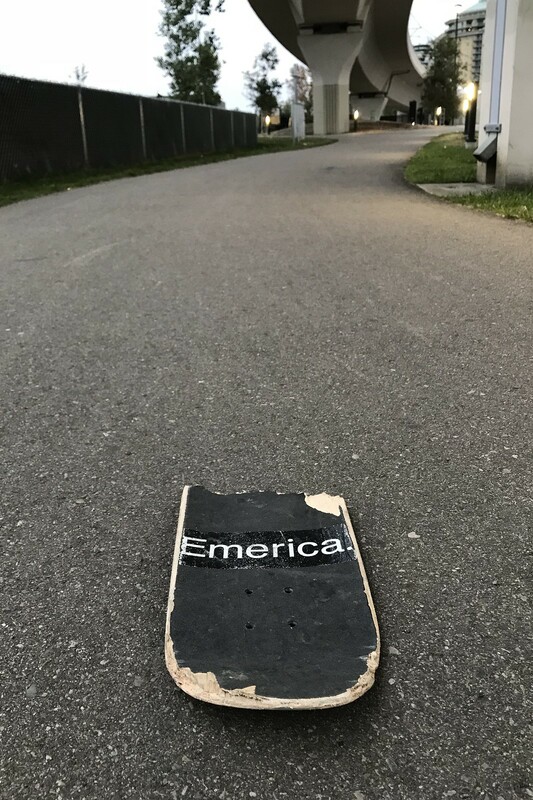 This skateboard has clearly reached the end of its useful life. 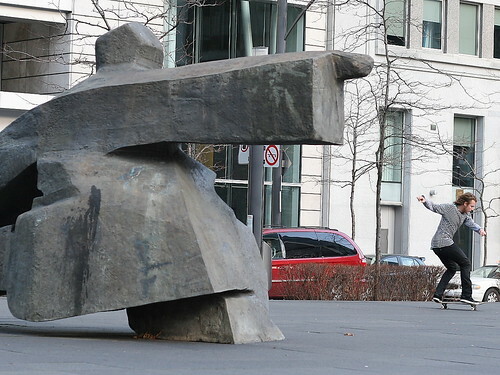 Spotted on a pathway in Shaw Millennium Park in downtown Calgary. Another oldie today … one of my favourite nighttime photos shot with the iPhone 4. 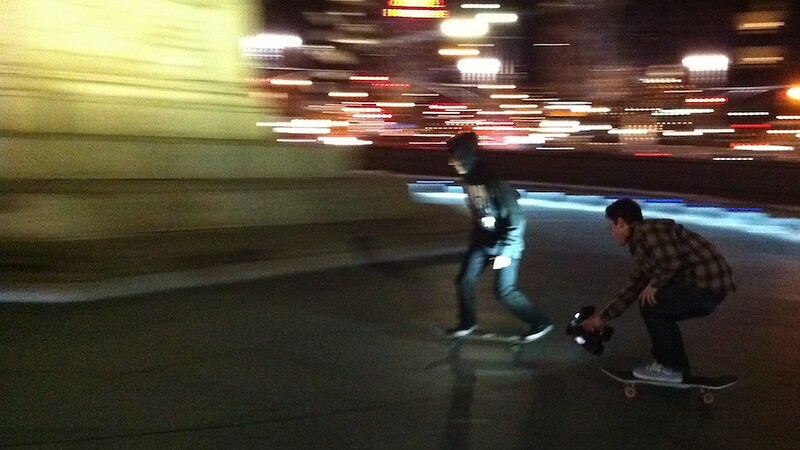 Visiting New York in February 2011, I came across a couple of kids recording some skateboarding videos at Columbus Circle in Manhattan as I was walking back to my hotel near to Lincoln Center. With every take they made they got better at what they were doing … and I got to practice my panning skills.